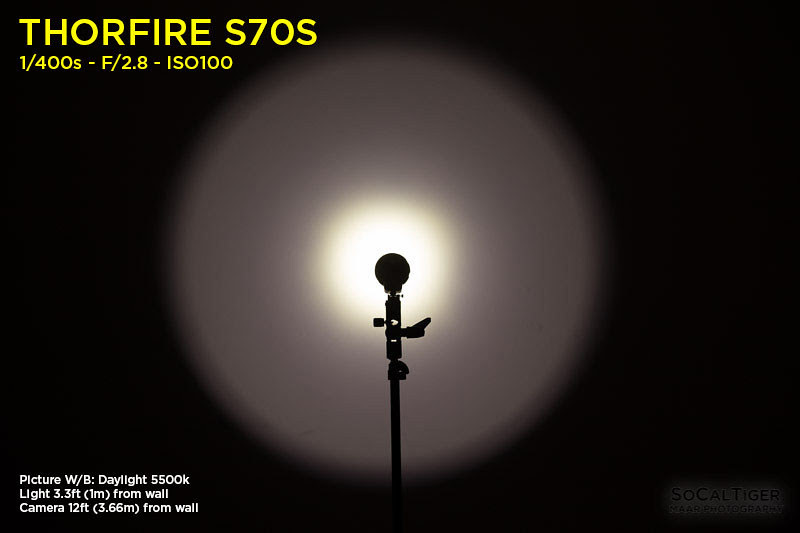 The Thorfire S70S is Thorfire's XHP70 2x26650 beast. 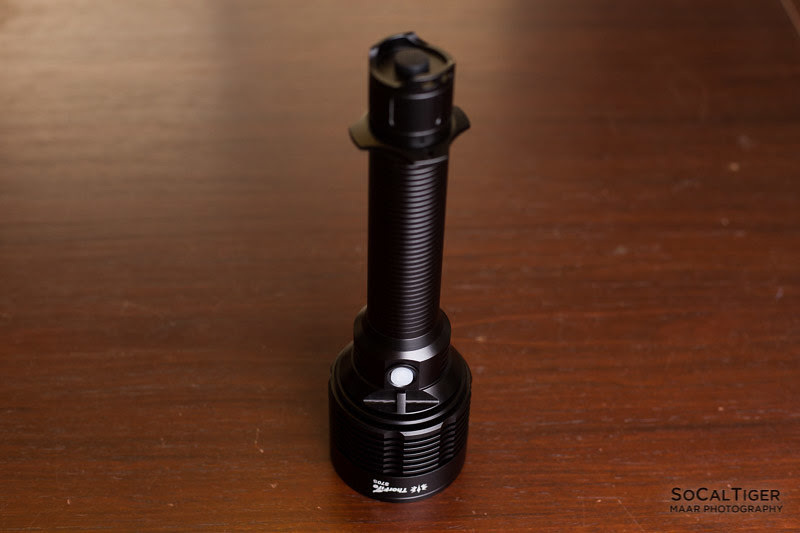 The S70S is a large 2x26650 configuration flashlight which powers the venerable XHP70 at 5.5A to produce nearly 4000 lumens. 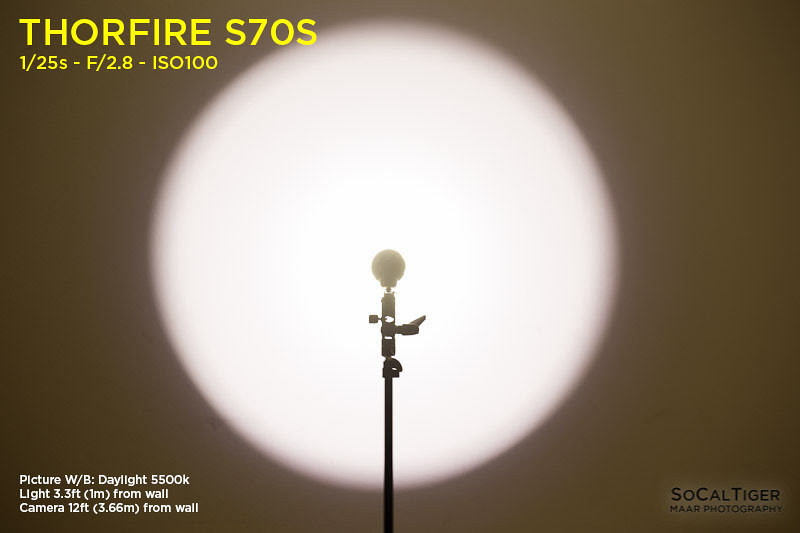 The S70S is what I consider the flagship of the Thorfire line and everyone should own a light in this class. The S70S is an upgraded version of the S70. The S70S adds both a Moonlight and Standby mode accessible using only the side switch (the tail switch serves as a physical cut-off). This light is both a powerful outdoor search light and classically stylish. I was provided a copy for review by Thorfire (Amazon US stock). 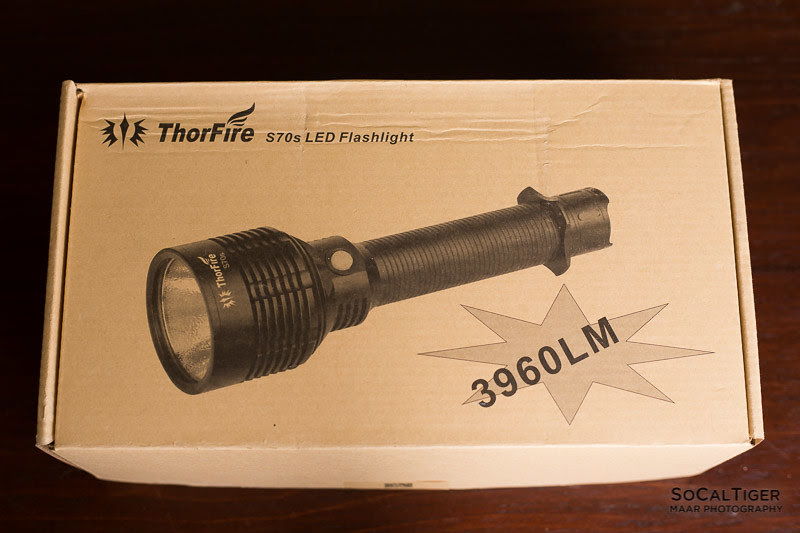 The New Upgraded ThorFire S70S flashlight emits an intense bright white beam of light that can be seen for miles. It has a beam distance of around 680m. We add on standby mode and moonlight brightness mode to it, which means you can use it more often and convenient. 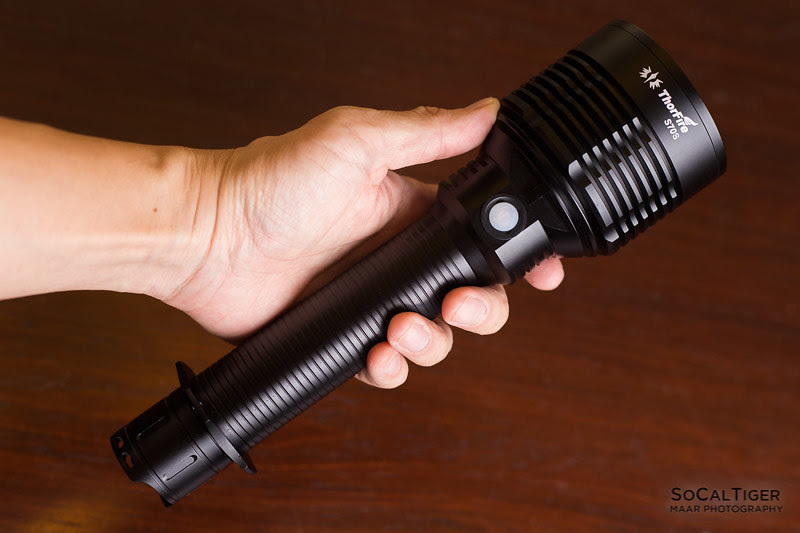 Designed for military, law enforcement and outdoor activities; this flashlight is designed to be shockproof and IPX8 waterproof, which means that it can be submersed down to two meters. The hidden strobe makes it ideal for emergency/help/warning/protection. The new moonlight mode is convenient for you to check baby or do anything else that would not disturb others at night. Size: approx 245mm (Length) * 35mm(Body Diameter) *74mm(Head Diameter). Maximum Runtime of 72 Hours at Low Output; runs on Medium for 18 Hours, on High for 3.75 Hours and on Moonlight for 480 Hours. The S70S arrived in a standard large cardboard box which had a small piece of tape keeping the box closed. The S70S was slotted into a cut-to-fit foam outline which perfectly protected the light from movement and damage. Accessories included 2 spare small O-rings (for the tube threads), 1 large spare O-ring (for the lens), replacement buttons, replacement glass lens and a carry strap along with the manual in the box. The packaging is very good and protected the light. There is no notable risk of damage or scuffing to the light during delivery using this packaging. 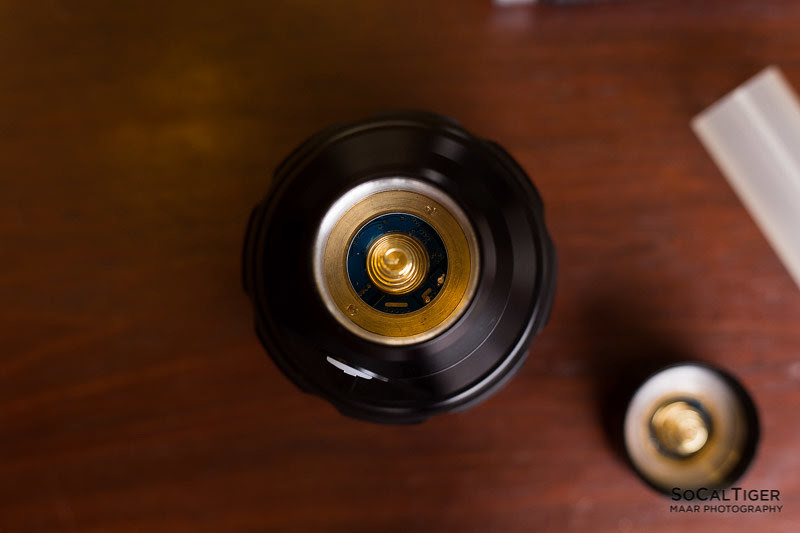 The S70S has smooth black low-gloss anodizing. The anodizing was applied well and my copy did not have any notable defects in the finish. I feel that this finish is smooth and looks very nice and professional in quality. The body has a nice even smooth pattern which adds grip although in wet conditions the light may be slippery. 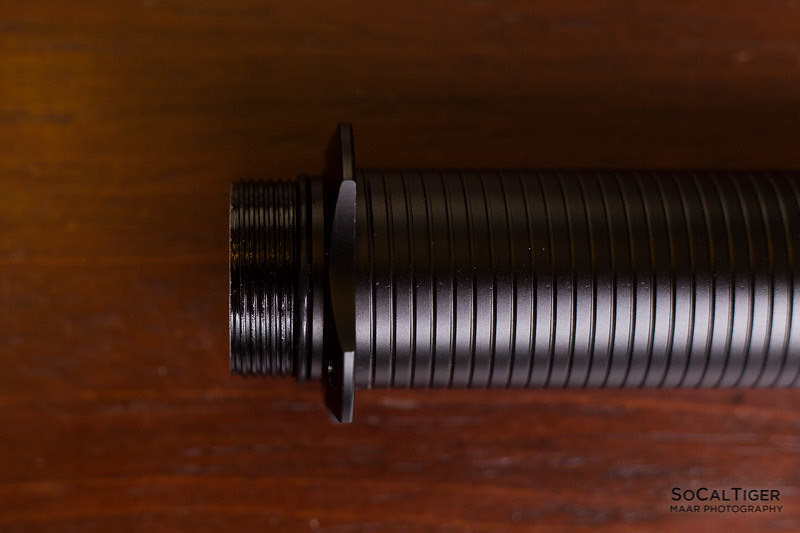 The patterning is softer and better on bare hands than the standard knurling common in most lights. 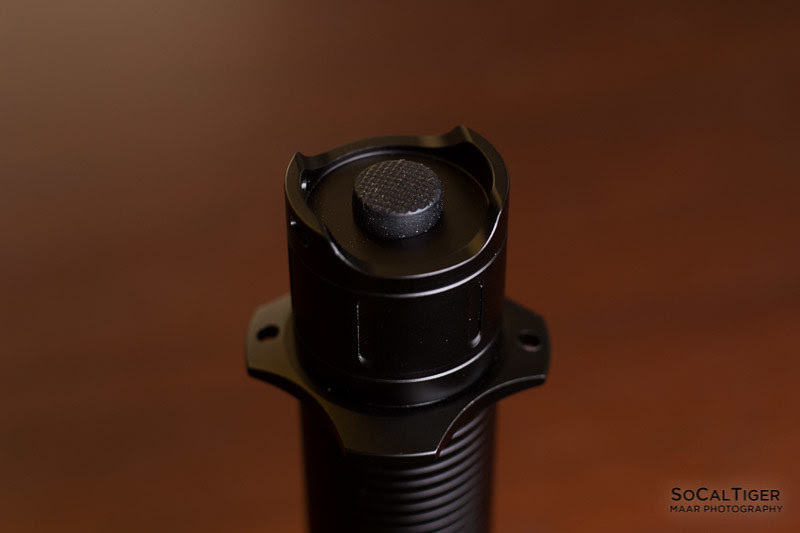 Balance: With 2x18650s inserted, the balance point of the flashlight is just below the side switch where the side switch section connects to the tube. Comment: I really love the clean styling of the head and the fins. Very clean and functional without being gaudy. No problems tail standing on a level surface. Beautiful OP reflector. My reflector was flawless - no visible dirt or debris inside. If accidentally turned on face down, you would not be able to tell that the light is on. The only sharp edges of note are the tactical ring and the tail cap. Comment: Tactical ring is removable. 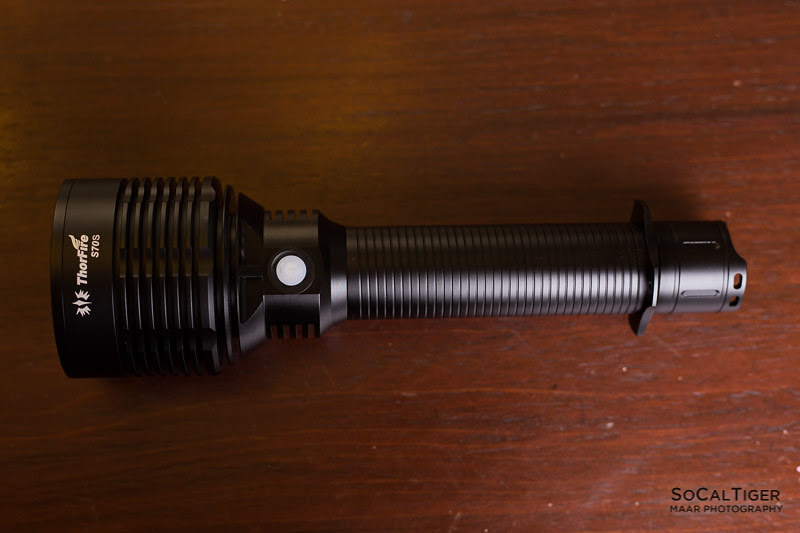 The tactical ring does help the flashlight rest and prevent rolling. Threads were perfectly square. 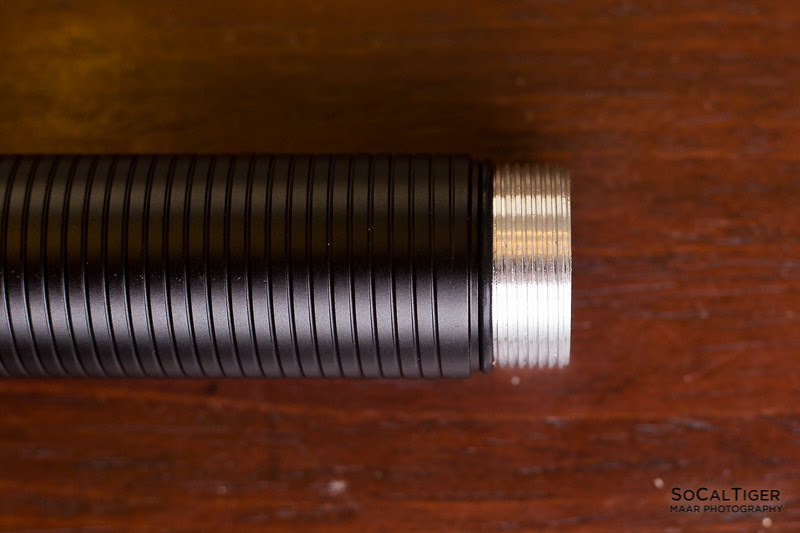 Only the tail threads are fully anodized. 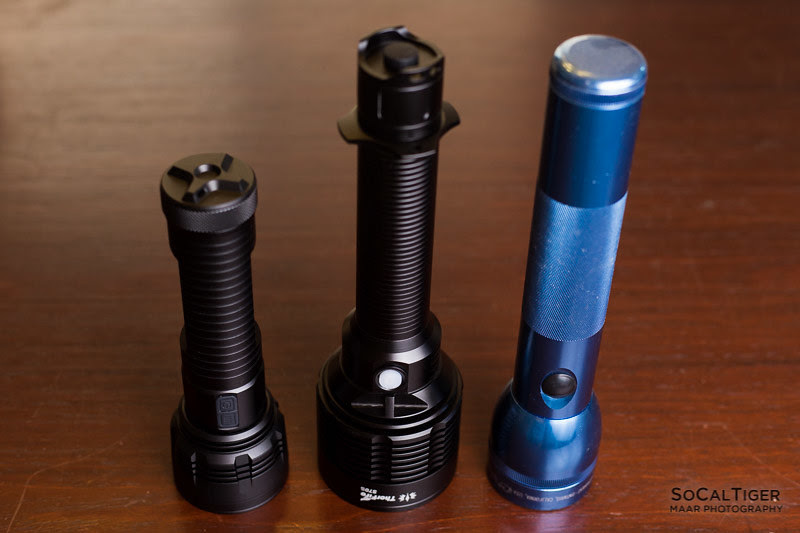 The light also included 18650 to 26650 adapters. Springs on both ends. To turn the light ON (STANDBY), press the tail switch. The light will default to "Standby Mode" (no mode memory). To advance modes, press the side switch (Low > Med > High > Turbo). To turn the light OFF (STANDBY), long-press the side switch. To turn the light OFF (HARD OFF), press the tail switch. To activate MOON, long-press the side switch while in Standby (Standby > Moon). Press the switch again to exit. To activate STROBE, double-click the side switch. Press the switch again to exit. Comment: This is my preferred order for larger/brighter lights (starting at low). In a large powerful light like this, I like that moonlight is hidden and separate. I also like that there is no mode memory. Measurements were done using freshly charged protected Panasonic NCR18650GAs using a quasi-integrating sphere. Batteries were at 4.17V at start. Using GAs, I obtained a high of 3840 lumens after 30 seconds (3985 lumens at activation). My copy had different spacing than stated by the manual. Roughly 3900 > 2600 > 1000 > 320 > 2. 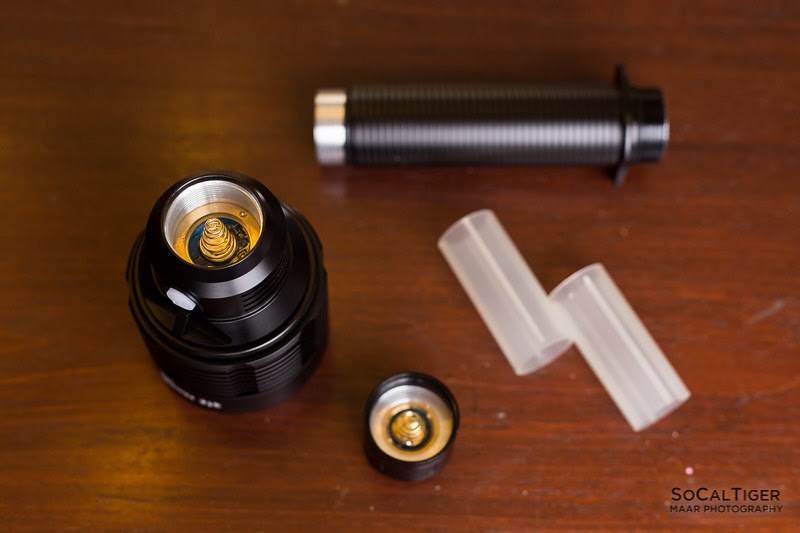 Comment: The mode spacing is good and I like that there is a 1000 lumen mode for sustained use although I wish that there was a lower low (maybe even 6 normal modes total instead of 5). My recommendation for spacing would be roughly: 4000 > 2000 > 1000 > 400 > 80 > 2. No PWM detected on any mode using the video method. Balanced Thrower. 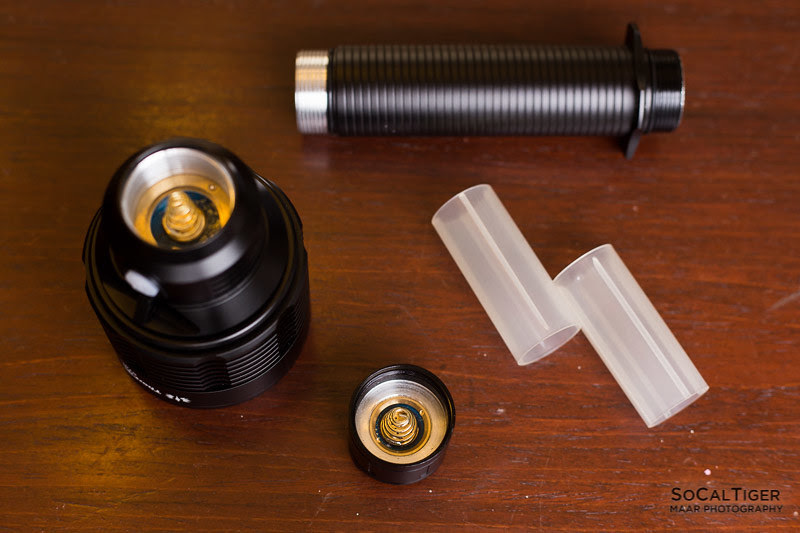 The S70S uses the domed XHP70 in a large OP reflector. 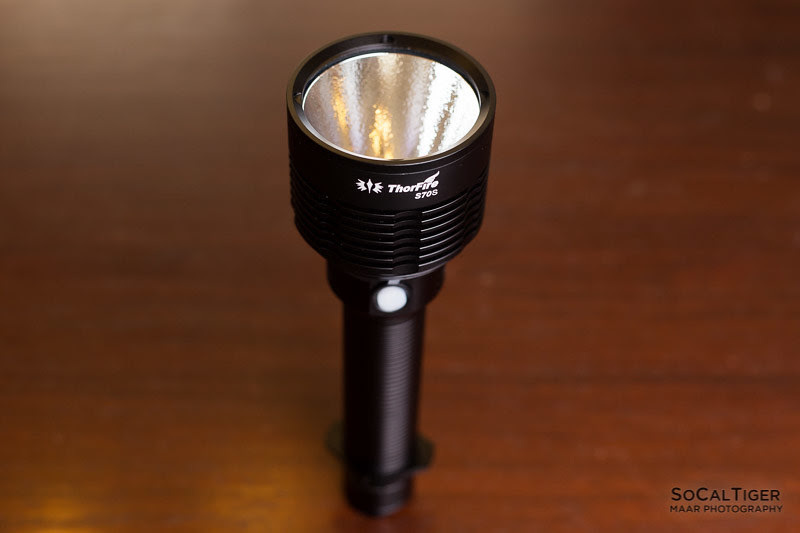 While this flashlight is able to accomplish a good amount of throw, the beam has a large hot spot which is also very balanced with lots of spill provided by the domed emitter and OP reflector. The beam has defined edges. This light works very well for people seeking a more balanced beam. 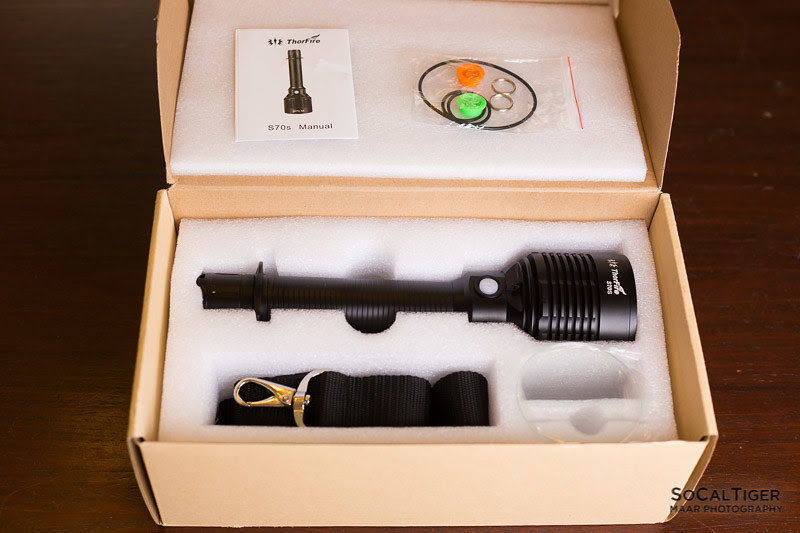 This light works great for general purpose use outdoors while the Moon mode is useful for preserving night vision and can be used indoors or in a tent. For indoor use, you probably would not want to use it at more than the Low setting and even that is pretty bright. In practice, I find this to be a well balanced beam and more practical to use than a dedicated thrower. This is the type of pattern which I would normally use for a hike, walk or camping. The color temperature is 5100K (warm neutral) using Lightroom's Auto WB. When white-balanced in Adobe Lightroom against "Daylight 5500K", the beamshots appear slightly warm. The light appears warm white in practice and is a good match against daytime sunlight. This is a good choice of color temperature. Green shift: None. When compared against Daylight WB in Lightroom, this light had -10 (negative 10) green shift. A range between 0-20 is common among LED light. This light is slightly rosy (magenta). 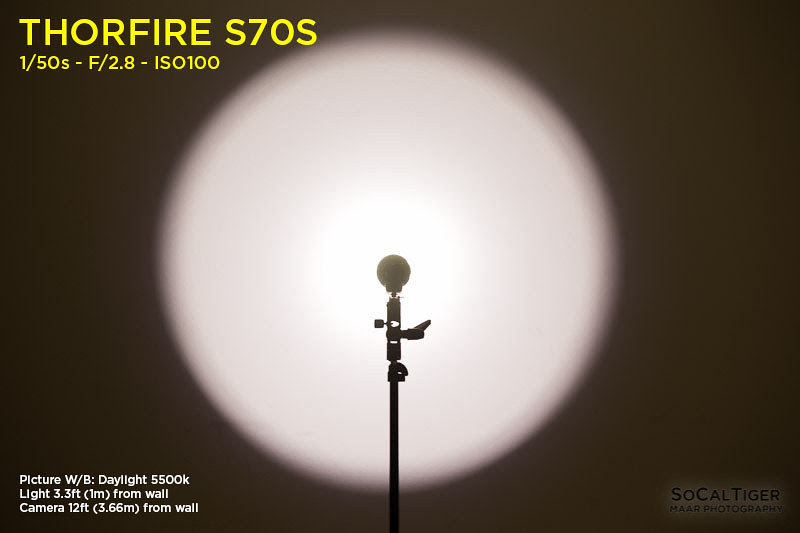 The ThorFire S70S is powered by 2x26650 or 2x18650 batteries (Li-ion INR, ICR, IMR, etc.). Protected Batteries Fit. The Protected Panasonic NCR18650GAs fit fine length-wise at about 70mm. The fit was a little snug length-wise but not enough that the springs sounded over-compressed. The S70S draws 5.5A at maximum, so I recommending using cells rated for no less than 10A continuous draw even if you do not intend to use the light at full power. In the 18650 class, this includes Samsung 30Qs and Panasonic NCR18650GAs. In the 26650 class, Liitokala and Shockli are both good options. As with any multi-cell light, use caution to ensure that batteries are inserted the correct direction. 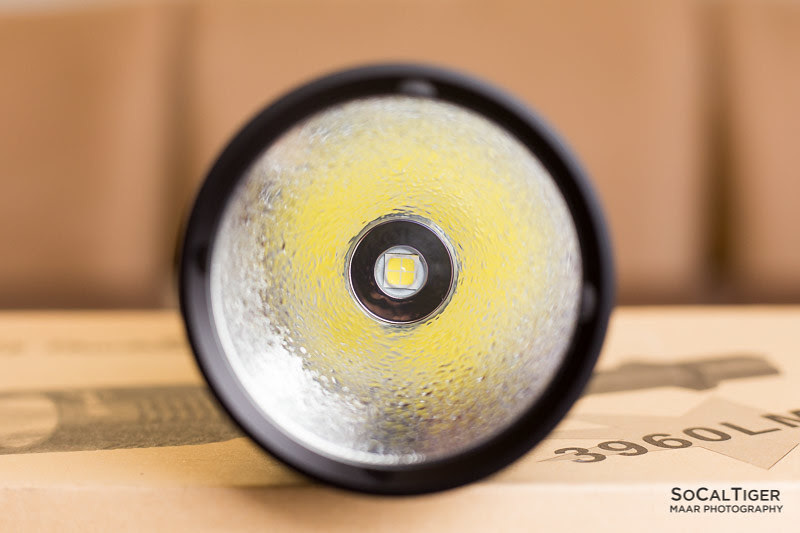 Since this light uses cells in series, you also must be extremely cautious to only used matched/mated cells and monitor them to ensure that they have similar capacities over time as well as similar voltages prior to use. I always check my cells with a voltmeter prior to use in a series device. You can lock out the light both with the tail switch and additionally by a partial turn of the tail cap. If there is a possibility of accidental activation, you should lock-out the light. The tail switch should kept in the off position when not in use as this will also prevent any parasitic drain. 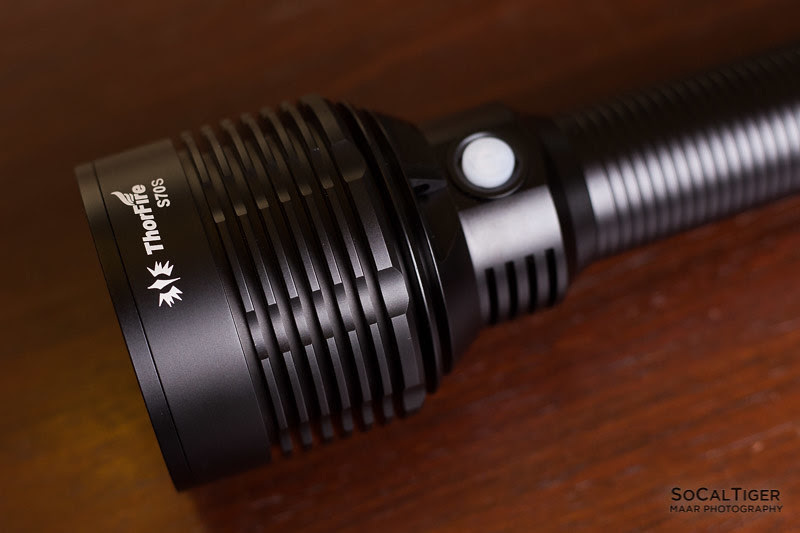 ThorFire S70S pictured next to other lights for comparison. The Maglite is 2D. 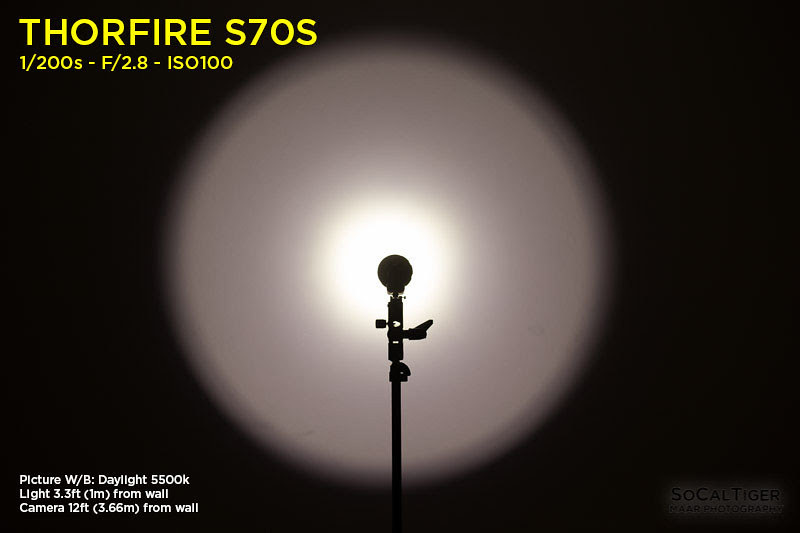 The S70S is what I consider the flagship of the Thorfire line and everyone should own a light in this class. The S70S is a powerful outdoor search light which makes use of the venerable XHP70. It is also very stylish and carries the perfect amount of weight for a larger light. 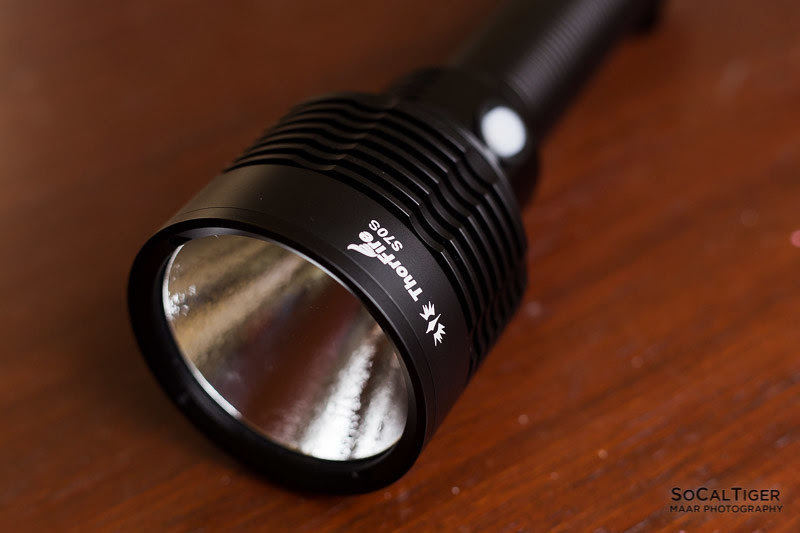 The S70S offers both a high power mode which is almost 4000 lumens all the way down to a night-vision preserving 2 lumen mode. I like that this flashlight will always start in Standby mode and then progress from Low up to Turbo). I also prefer that Moon is hidden in a high-power light like this. The modes are optimally spaced for outdoor usage although I would have liked the inclusion of 1 additional mode (my recommended spacing would be 4000 > 2000 > 1000 > 400 > 80 > 2). The S70S is an upgraded version of the S70. The S70S adds both a Moonlight and Standby mode accessible using only the side switch (the tail switch serves as a physical cut-off). 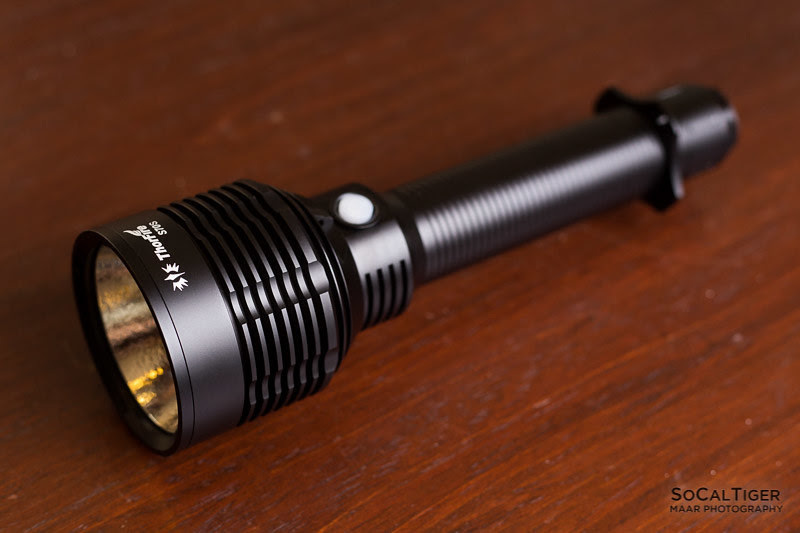 The light uses either 2x26650 or 2x18650 lithium-ion batteries in series and protected batteries fit. I prefer using protected batteries for multi-cell lights. Always make sure you are using matched cells in any multi-cell device, especially devices which uses cells in series. 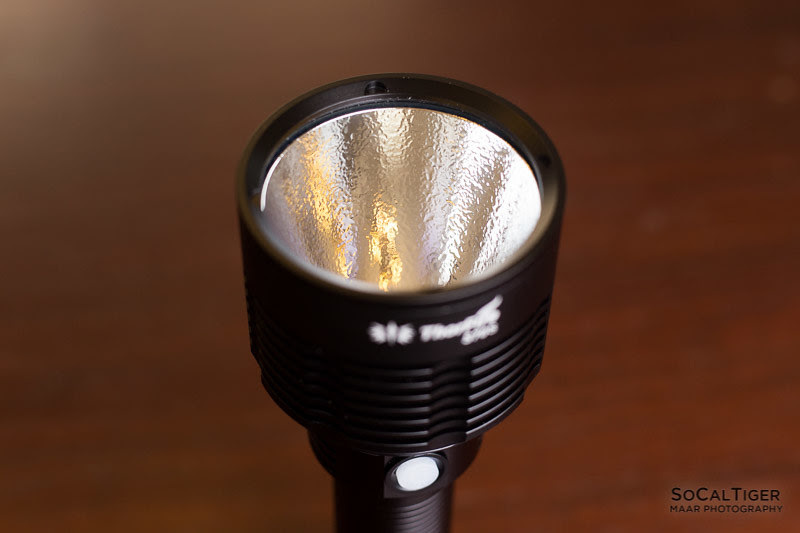 The beam profile is a very well balanced thrower and well-suited for outdoor usage. The color temp is 5100K (warm neutral) and matches daytime sunlight well. Thanks for correcting the output from the manual (info, spec). Wish you could do the run times. My gratitude to those who are willing and able to help others (in whatever way you can)! Being human is more than just existing for yourself. Thanks for correcting the output from the manual (info, spec). Wish you could do the run times. I plan to but I need to purchase some new 26650s to do it justice. thanks for the code,getting it today with sameday shipping.